Uber Technologies Inc. expects a valuation of about USD 100 billion when listed on the New York Stock Exchange. Large IPOs such as Uber’s and others could bring spectacular benefits to the crypto industry. At the same time, business solutions allowing Uber users to pay with Bitcoin are now moving to center stage. 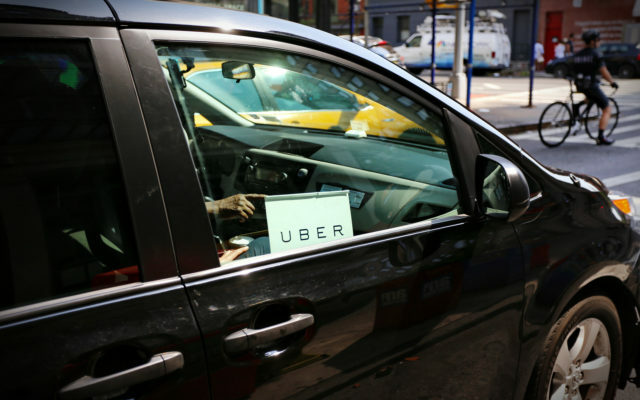 On April 11, 2019, Uber filed with the U.S. Securities and Exchange Commission (SEC) to offer shares of its common stock. In its recently released prospectus, Uber does not mention the magnitude of the IPO, which could be one of the biggest ever. The company is aiming to raise $10bn from its IPO and recently told some of its investors that it could be valued at $90bn to $100bn, according to people familiar with the matter. The company was last valued at $76bn in a private fundraising in August. Thus, the estimated valuation would surpass today’s Bitcoin market capitalization of about $89 billion. The transportation company bases its projections on its leading technology, expertise, and massive network, which comprises millions of drivers, users, shippers, and other participants around the globe. Revenue derived from our Ridesharing products grew from $3.5 billion in 2016 to $9.2 billion in 2018. Gross Bookings derived from our Ridesharing products grew from $18.8 billion in 2016 to $41.5 billion in 2018. Consumers traveled approximately 26 billion miles on our platform in 2018. Digital Currency Group CEO, Barry Silbert adds that billions of dollars in private company stock will be unleashed from IPOs this year. Uber’s direct acceptance of payments in Bitcoin and other cryptocurrencies may still be a long way off, however. In the meantime though, some Uber drivers around the world are unofficially accepting BTC instead of their local fiat currency. Some users in Argentina, for example, have expressed interest in paying for Uber with bitcoin while some drivers wouldn’t mind receiving some bits instead of the depreciating peso. For instance, an Uber driver, under the Reddit username bjandrus, wrote that he was already accepting bitcoin off the books for rides. However, he complains, the process is problematic because the Uber app does not support BTC payments. It remains to be seen which ride-sharing company will officially begin accepting bitcoin first. However, paying for Uber in bitcoin indirectly is already possible. For example, there’s the gift card option from Bitrefill and others, including the Coinbase e-gift card supported in select EU countries and Australia. There are also third-party services as well as cryptocurrency debit cards that allow you to pay for anything, including Uber, Lyft etc. using bitcoin. How do you think IPOs such the one expected from Uber could benefit the crypto industry? Let us know what you think in the comments below. The post Uber IPO: Cryptocurrency Will Be a ‘Huge Beneficiary’ appeared first on Bitcoinist.com.